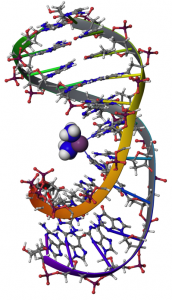 Chemotherapy with transition metals is a promising approach to treat cancer. However, despite the huge efforts devoted to the synthesis of efficient drugs, only three complexes have been approved for clinical use due to the critical side effects of metal salts on healthy tissues. 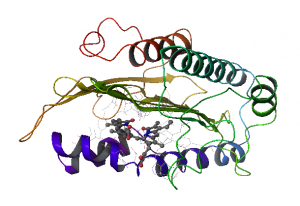 A major challenge for chemotherapy is to increase the effectivity of the treatment into tumoural regions while reducing the toxicity for non-targeted cells. One of the main protects of this Quantum Chemistry research line deals with the design a new drug family with enhanced therapeutic properties by assembling three active entities in the same molecule, that we deciceded to call Antitoumorals of Triple Action (AnTriA) drugs. In short, we are looking to find out better antibody-drug conjugates by smartly encapsulating active molecules inside. Many of the most common healthy disorders (i.e. chronic diseases as cardiovascular and inflammation processes) have been related to the oxidative damage that biological tissues suffer due to the action of free radicals. Consequently, the use of antioxidant molecules could partially mitigate their undesirable effects. 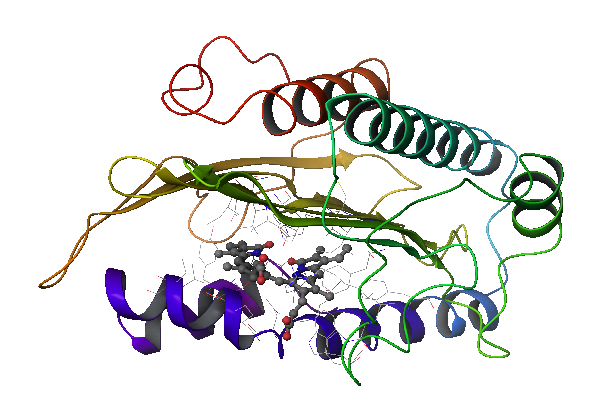 The Quantum team of the BIO-HPC group is also focused on the applications of computational tools to predict the chemical reactions that govern the anti-oxidant and anti-inflammatory properties of natural products, including carotenoids, flavonoids and diterpenes, among others. Aiming to preserve their beneficial bioactivity, we are currently working in the encapsulation of that products in the so-called carrier molecules, that is, molecules that protect the natural product from side reactions while concentrating its action in the region of interest. 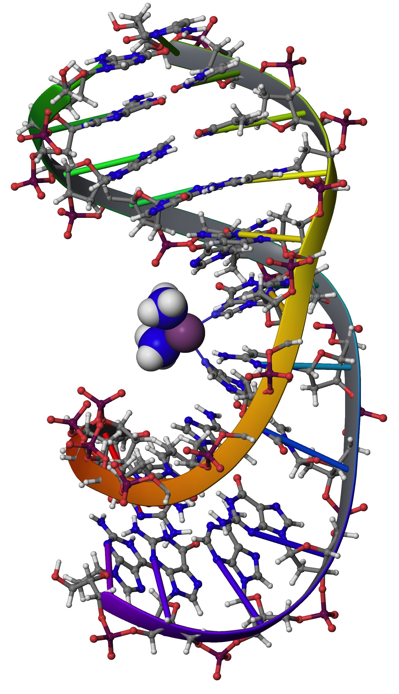 We are working to find out novel drugs the properties of the so-called metallointercalators, that is, metallic derivatives able to program cancer cell death by intercalation between DNA base pairs, using state-of-the-art computational methods, e.g., docking, molecular dynamics and quantum mechanic/molecular mechanic (QM/MM).